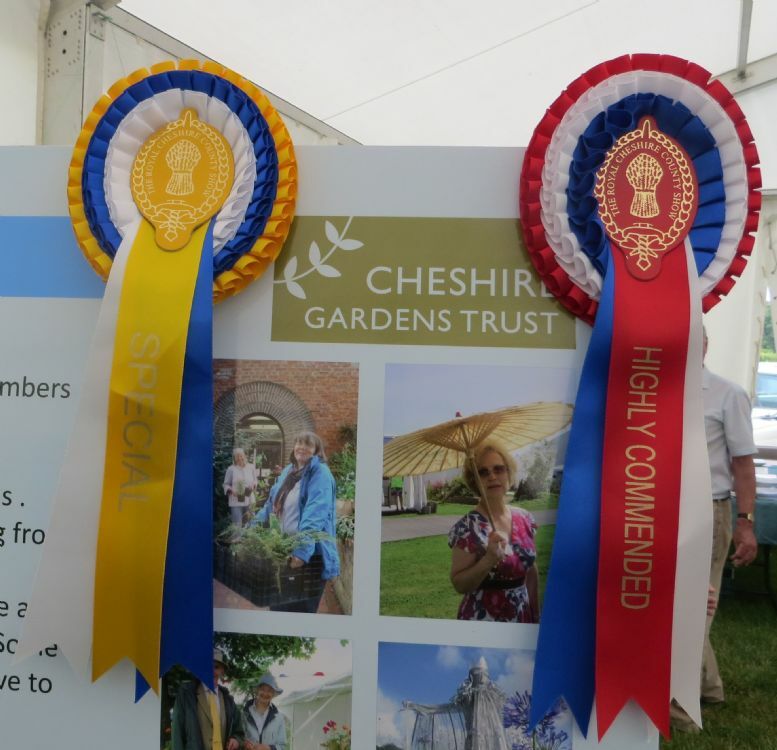 The President and Vice President of the Royal Cheshire County Show presented the Shows Team with not one, but two awards for their display: Another Highly Commended award plus The President's own Special Award for giving added value to the show in encouraging visitors to learn about something different. Congratulations to the Shows Team and all their helpers who worked under particularly trying 'tropical' conditions to engage with visitors and advertise the work of the Trust. Well done and grateful thanks to all those volunteers who really do give 'Added Value' to Cheshire Gardens Trust.